They say the worse thing a parent will ever have to deal with is the loss of a child. Surely the second must be the loss of a child’s friend or close family member. Recently my son, CJ, lost one of his foster ‘brothers’. We call him a brother because my son and daughter grew up thinking this was their family. They didn’t know they were in a foster system or what that even meant. One day they were told “We found you parents of your very own. You meet them tomorrow.” Then their world changed. It worked out great for all of us, but my son, who was five years old at the time, did have to leave what he thought of as his family. This included four brothers — one of which was as close as a twin. A week ago, we found out (on Facebook of all places) one of his older foster brothers had passed away. This was a quite a blow for him. Although I’m not proud of it, I thought, “Thank goodness it wasn’t the one he was closest to.” I don’t know how he would have coped with that. Or how I would have coped with telling him. There were tears when he we broke the news. He wanted to attend the funeral. He’s eight years old, and this is his fourth funeral. He attended the funerals of my wife’s father (whom he barely knew), his foster grandmother, a stranger (due to us having no babysitter), and now this one. His brother, who was 23 years old. All of us handle grief in our own way, but seeing a child wrapping their heads around death is a strange experience. Topics eventually spiral into talks of death—regardless if you’re discussing football, or Rocket Racoon. Every cemetery you pass is noticed. Every Bible study begins or ends with the angel of death. I held my child through many tears. I spent time describing what happens to the body after we die and why his brother looked the way he did in the coffin. I had to explain why I told my wife on the phone, “The make-up was horrible”. The topic is still popping up here and there, and I try not to discourage it. After all, everyone dies. It’s just hard to see that moment a child realizes their own mortality. You may see this as a crutch for the weak minded. Children come up with tough questions, and the answers can be harder still. 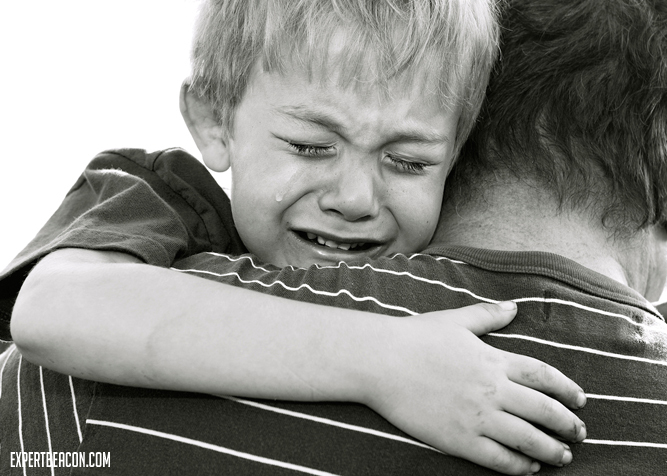 When despair grips our children we lean on our faith in God. We let our son know that we believe in a God who offers us something better than this sad, mortal coil. We explained his brother put his faith in this Savior as well. There are many who will read this and disagree. You may see this as a crutch for the weak-minded. All I can tell you in response, is that there’s a great peace that is offered when you welcome God in this time of need. A peace without understanding. My prayer is that my son’s faith is strengthened in this time, but trials bring strength. And if he questions the comfort of a loving God, I hope I’m there to model it for him by example. 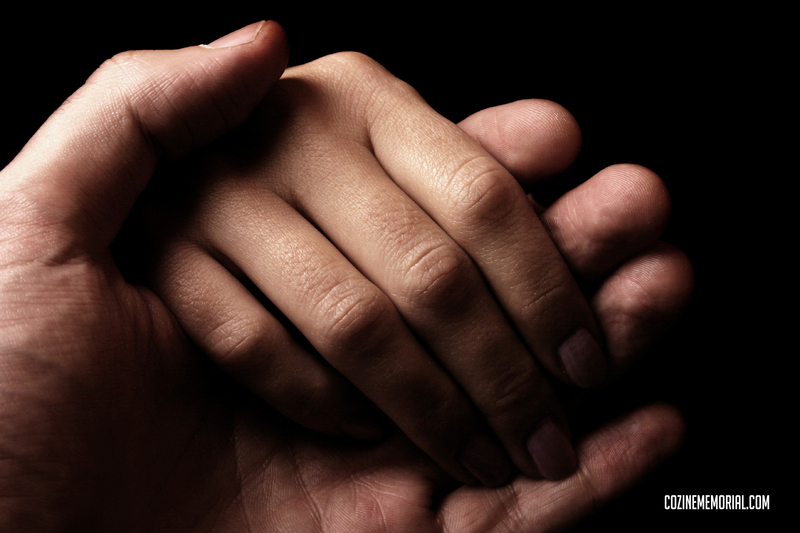 My blogging partner, Aaron, is a chaplain who specializes in grief counseling. I’m sure we can look forward to some excellent articles in the future from his unique perspective. 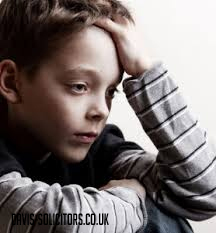 What are some things you did to help your children through their troubling time? After he and his wife adopted 2 children, and his burgeoning stand-up career sidelined, Christian re-routed his comedic efforts into a web comic at ForeverFamilyComic.com. Having just missed Aaron in college by a few years, they connected online, finding they had a similar sense of humor [read: DARK]. Christian now has 3 children and 1 wife, and he will tell anyone he meets that’s plenty of each. 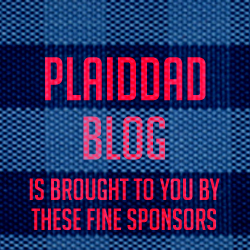 Would you like to write for PlaidDadBlog? Send us a message if you would like to write a guest blog. Please include some writing samples or links to previous work.